At its most basic level, liquor inventory is performed to count how much of each product you have on-hand at your bar so that you can determine what to order. You can take these efforts a step further and use it as a tool to measure the performance your business. By factoring in purchase values (what was delivered) and your sales during the inventory period, you can calculate your liquor cost as part of your inventory efforts. All bars should be calculating their liquor cost. It’s one of the primary ways to measure your bar’s efficiency. 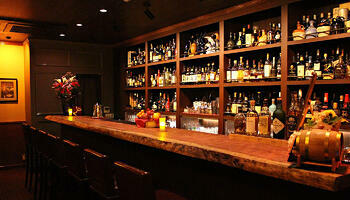 However, your inventory efforts can be used to impact even greater improvements to your bar’s operations. 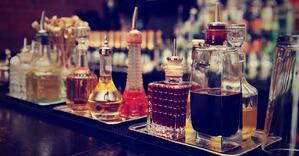 Bar-i goes beyond simply calculating your liquor cost. We also provide you with your accountability score. Accountability is a term used to measure the percentage of product poured that was actually sold. If a particular product has an accountability score of 100%, it means that every serving of the product poured during that inventory period was also sold. In other words, there was no waste and nothing was given away for free. An 85% accountability score, which is quite common among new Bar-i clients, means that 15% of the product you poured wasn’t actually sold. When you look at accountability, you can identify specific products which aren’t performing well and make the necessary changes to ensure a larger percentage of servings poured are actually being sold. 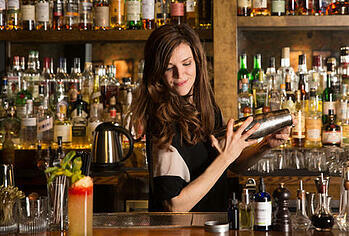 This will ultimately lower your liquor cost and help you improve your bar’s profitability. In order to get this deeper-level accountability data from your inventory efforts, you’ll need to integrate your POS system with your inventory software. What is the Difference between Liquor Cost and Accountability? Your liquor cost is arrived at by calculating results at the category level, while accountability looks at your results on the product level. This involves averaging the cost of multiple products to arrive at one single liquor cost figure for the entire category. This can get very complicated when you are looking at the liquor category since many bars serve over 100 different liquor products that have a wide range of liquor costs. For example, many well products will have a liquor cost that hovers around the 10% range, while high end products can have a liquor cost that is closer to 40%. When you average such a wide range of liquor costs to arrive at one figure, you get an effective big picture view of your performance, but you sacrifice a tremendous amount of detail in the process. Accountability digs deeper to evaluate the performance of each individual product sold at your bar. Once we calculate the usage of each product, we can also determine what percentage of your total sales were attributed to each individual product. For example, instead of a basic overview which tells you that $1,000 of liquor was used in order to generate $5,000 in sales (20% liquor cost), we can tell you that 4 bottles of Jack Daniels were used (which cost $80), and the sales that can be directly attributed to these Jack Daniels bottles amounted to $450. Bar-i provides results down to the product level so you can see what your liquor cost and accountability score is on every product you sell. This level of detail helps you evaluate your bar’s performance on a deeper level while identifying opportunities to improve profitability. The liquor cost figure you arrive at as part of your inventory efforts reflects your actual liquor cost. The problem with actual liquor cost is that it fails to identify the ways in which real-life factors are impacting this figure. Missing product is a huge factor that impacts your actual liquor cost. One of the primary benefits of looking at accountability is that it allows us to calculate what your liquor cost should be if you weren’t missing any product. This figure is called your achievable liquor cost. While it’s impossible to achieve a perfect-world figure, your achievable liquor cost allows you to identify the perfect real-world figure you can achieve based on the many factors that impact your costs and profitability. This gives you a realistic figure to aim for moving forward, and you can then start to engage your staff in a discussion regarding how to achieve this goal. Ideally, you should start by making some adjustments to your processes that will help bring your actual liquor cost closer to your achievable liquor cost. Then over the next few inventory periods, you can monitor the difference between these two figures to see how well these adjustments are working. If you find that the adjustments you made aren’t getting you significantly closer to your achievable liquor cost, you may want to consider making additional changes that may be more effective. Bar-i can also use this product level data to provide a precise dollar amount for your loss at wholesale. For example, if you sold 10 Jack Daniels drinks at a 1.5 oz. pour, you’ve essentially sold 15 oz. of Jack Daniels. However, if your bar staff was pouring these drinks a little heavy and 20 oz. were actually poured, then you’re missing 5 oz. of Jack Daniels. As part of the inventory report Bar-i provides to you, we will include data regarding how much that missing 5 oz. of liquor actually cost you. As with determining achievable liquor cost and accountability scores, identifying your loss at wholesale can only be accomplished if you integrate your inventory software with your POS system at the button or product level. How Does Integrating Your POS System and Inventory Software Work? Run button level sales report – We go into your POS system and run a sales report for the entire inventory period. This report breaks down sales per button, so you don’t just find out that you did $10,000 in total draft beer sales; you also find out that you had $500 in sales for the Coors Light button and an additional $300 in sales for the Coors Light pitcher button. Export to CSV or XLS – Bar-i runs a report that shows the button level sales for a custom period that matches your inventory cycle, and we export the report to CSV or XLS format. Write custom recipes – Bar-i writes a recipe for every button on your POS system. For example, if your Coors Light button is served in a pint glass, our recipe will call for 14.5 oz. of Coors Light in order to account for head on the beer. In a more complex example, a Long Island iced tea typically has 4 different liquors poured in half-ounce portions, and we can write out a recipe that accounts for the exact portions of each liquor used in the drink. These recipes are fully customized to your bar, and we can include as many ingredients in each recipe as necessary. This ensures that all recipes will be extremely accurate and reflect the precise amount of product that should be used every time a button on your POS is pressed. This integration process enables Bar-i to convert your itemized sales report into an exact record down to the serving of how much of each product was sold. We can compare this figure to the actual usage in order to calculate your accountability score. Bar-i works with bars in 22 different states and has never failed to integrate with a POS system. Don’t worry if you don’t see your POS on the list. As long as you can export itemized sales reports, we’ll do the work to sync up with your POS system free of charge. 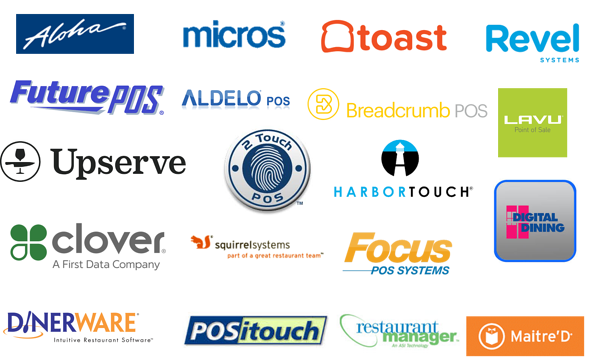 We already have partnerships with several of the big POS systems, and we are planning on building application programming interfaces (APIs) in late 2018-2019 which will fully automate the process of integrating Bar-i software with your POS system. If you want to use your inventory efforts for the basic tasks of determining what needs to be ordered and calculating your liquor cost, then there is no need to integrate with your POS system. Using sophisticated inventory software for these tasks will save you time and streamline your processes. However, if you want to use your inventory efforts to manage the profitability of your bar, it requires the additional step of determining your accountability score. In order to arrive at this information, you will need to integrate your inventory software with your POS system at the button level. Bar-i will handle this integration for you. As long as you can get us a sales report, we can take care of the back-end integration. We write all of the recipes custom to your specifications, including standard pour sizes for your typical drinks and custom recipes for your signature drinks. We’ll use this information to generate a detailed report comparing what was poured vs what was sold, allowing you to make the changes necessary to improve accountability and boost profits. If you’d like to learn more about how Bar-i can streamline your operations and help you maximize profits, please contact us today to schedule a free consultation. We serve clients nationwide from our offices in Denver, Colorado.